Help Save Lives with Math! At Medlanes, we are building the gateway to medicine, the way health care should work, by combining in-person and digital treatments. The “in-person” layer is built and we are already providing doctor home visits 24/7 in 20+ cities with 500+ doctors from Medlanes. The next big challenge is building the “digital” layer. And we know that we couldn’t do it without our awesome employees. We believe in a 360 degree approach that starts with digital consultations, supported by A.I., that doesn’t stop as soon as a physical examination or blood tests are needed. In this case, we would send one of our 500+ doctors to the home of the patient. 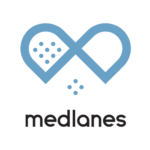 In this way, Medlanes is managing the full medical care path of the patient, organized on a digital layer. Our mission is 24/7 access to affordable healthcare enabled by A.I.! We are currently seeking a Data/AI Scientist to join our Berlin & Potsdam, German office. You will build models to make diagnoses and treatment suggestions for doctors, until we have collected enough data to have a reliable model to practice A.I. driven diagnoses, supervised by doctors. We’re an alumni of the Microsoft Ventures Accelerator, winners of two innovation grants from Bayer HealthCare, supported and financed by major Venture Capitalists, as well as European insurances like AXA. Build and improve a predictive engine that handles medical consultation. Build concepts and brainstorm with the team. Transform data structures, develop the algorithm and validate the performance. Work closely with our application development team. You have general experience in data science, machine learning or data mining ( > 0.5 – 2 years). You have profound experience with Python (min. 3 years). Good understanding of Python 3.6+, Pandas, NumPy. Experience in one of the following deep learning frameworks: PyTorch, Keras or TensorFlow. Experience with Scikit-Learn is a plus. You are a creative “out-of-the-box” thinker. Apply your ML/DL knowledge in the medical space with real cases and help real people. Improve your (PyTorch) knowledge in a commercially focused project. You’ll get the opportunity to build something meaningful that will help fundamentally change healthcare. You’ll work in one of the hottest startup sectors, as part of a young and enthusiastic team. Competitive salary with ample room to grow and rise in the ranks as the company gets bigger.